Anne M. Fletcher is a trusted New York Times best-selling health and medical writer who visited 15 addiction treatment centers - from outpatient programs for the indigent to famous celebrity rehabs; from the sites of renowned 12-step centers to several unconventional programs - to find out what really happens. What she reveals ranges from inspirational to irresponsible and, in some cases, potentially dangerous. This book offers enlightenment and intellectual understanding of addiction on several levels. The science was fascinating, the writing lucid, the stories compelling and the conclusions sound. As a now sober alcoholic who lost my mother and an uncle to liver disease, I know the horrible grip and terrible cost of addiction. This book takes a fair, clear minded look at the value and costs of the disease model. As such, it is not only valuable to the addict who travels their own healing journey, but to professionals in the field as well. It is time to point out with strength of conviction that the Emperor, if not lacking clothes entirely, is poorly dressed . I am hopeful this book will make healing more accessible to those who are not yet desperate enough for the dogma and theology of AA. 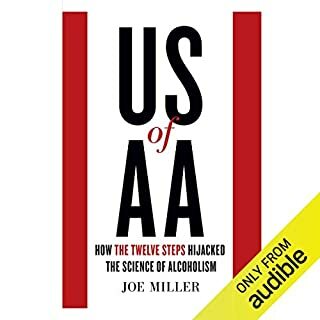 Don't get me wrong, I credit AA with saving my life and helping me break the cycle of addiction for my family. This is miraculous praise indeed. But it is time for the next evolution into a more sophisticated and rationale treatment regimen based on neuro science and psychology. This book is an important contribution to that future and perhaps even prescient of where we are headed. I have been learning for years about the stunning advances in understanding how the brain works, for example, learning how the brain is influenced by emotional trauma and then creates extreme reactions (PTSD) That's important and good to know. 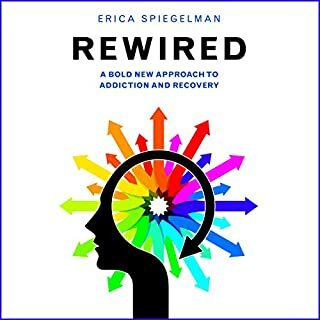 But the research and synthesis presented in this book is what I've been waiting for, an explanation of the drives and compulsions that seem to be stronger than willpower. We all have them. Too much food. Nah, I don't feel like going to the gym. And then of course there are the serious addictions that are ripping up society. 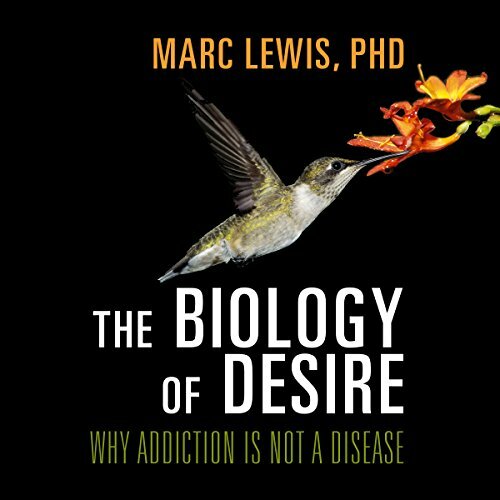 This book breaks down the biology of desire in a way that is understandable to the well informed person who is interested in trying to make sense of the important workings of the gray blob behind our eyes. I loved the way he detailed the pathways of thought that interrupt and oversee impulses. One of the best takeaways was the breakdown of desire into its seeking component and the actual pleasure - and how nature has much more interest in getting us to do the seeking (it's easy to see this in addictions - that the seeking behavior takes over the mind with an almost violent control - just as nature would want), and his ending with a call toi mproving one's narrative, showing off the new hidden-but-gradually-becoming-better-respected method of Story that is needed by the prefrontal cortex in order to keep reins over desires. I have struggled with, and overcome, several addictions. This model of thinking about addiction is the only one that explains my experience and my eventual freedom. Happily my one remaining addiction is over eating, and this book helps make sense of what I need to do to move forward. If you use headphones, don’t. 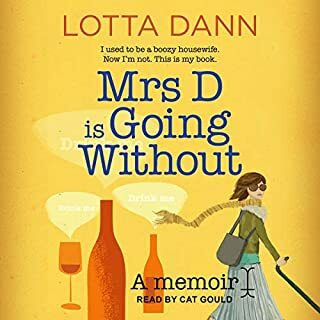 I love this book, subject and author. How did Mr. Whistles His S’s ever get a job as a book reader, I don’t know. Couldn’t that somehow be edited out? Great read for any thinking person! Wow, very interesting explanations on how people think and how addictive tendencies are just part of human behavior. 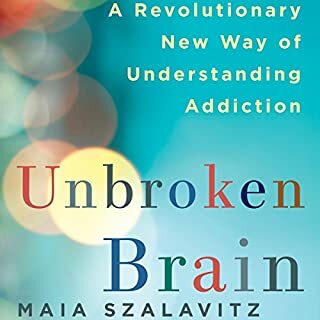 On that note alone it's a good read, however if your dealing with someone who is an addict of any sort this book really helps in understanding why they act the way they do. Very helpful for gaining a better understanding of myself and my struggles. I now have the insight, just need perspective. The disease model of addiction is highly accepted by clinicians, psychologists, and insurance companies right now. It posits that the more an addict uses a substance, the more his brain changes, and the more he needs the drug. 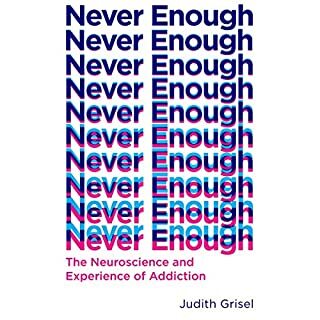 Furthermore, some people have a biological preinclination for addiction - it doesn't mean that they will become addicts, but the genetic preinclination raises their chance of becoming an addict under the right environmental stimulus. The combination of genetic factors and changes in the brain suggest to clinicians that addiction is a disease. A lot of money, therapy, and medication currently goes into treating addiction as a disease - often successfully. Lewis argues, though, that changes in the brain and genetic preinclination do-not-a-disease-make. After all, every experience changes your brain - and some events, like falling in love, change your brain in much the same way addiction changes it. Furthermore, much as people have a preinclination for addiction, they also have a preinclination to temperament. For instance, an introverted, agreeable parent is more likely to have an introverted, agreeable child. Despite this heritability, temperament is not considered a disease. So why do we pick-and-choose which heritable brain-changing habits are a disease? My answer is that addiction is considered a disease whereas in-love and temperament are not considered diseases because in-love and temperament do not generally cause clinically significant impairment in an individual's ability to function in the workplace and social interactions. And when they do inhibit the individual's ability to function, then they are considered a disease. Instead of the disease model, Lewis supports the "choice" model. People choose to abuse substances in the first place, and continue to make that choice. And when they give up the substance abuse, it is generally because they have chosen that now is the right time to give it up. Lewis spends the great part of this book describing why he feels viewing addiction as a disease is harmful to addicts as well as unhelpful for treatment. When an addict views his problem as a disease, then he might feel helpless to make his situation better. Whereas if he views it as a choice, he recognizes that he has power over this problem. You might notice that this is in stark contrast to the first step of AA in which the addict accepts that he is powerless over his addiction. In fact, in the stories of Lewis' interviewees, none of them mentioned AA or NA as a helpful tool for stopping their addiction. Lewis also points out that although medication and therapy generally help the individual to give up alcohol to begin with, there is a very high relapse rate. And that is because although the individual doesn't want the negative effects of his addiction, he has not yet accepted the choice to give up the drug. Lewis claims that many people view the choice model and the disease model as mutually exclusive, but he believes that they are not. I would tend to agree with him on this. 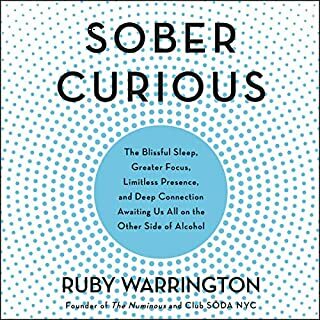 I don't see the harm in viewing addiction as a disease - in fact, I think this model would be very helpful to a certain subset of addicts - it provides them a reason to say "this is not my fault, I have a disease, and I need to live as healthy a life as I can in order to not let it ruin my life." But I also think the choice model is helpful to another subset of addicts - it provides them the ability to say "I have the power to choose not to use. I am not powerless." I’ll be using this information in therapy’s. It seems to coincide with what I am currently aware of with mindfulness. And has the ring of truth to it. Similar to Yogic Sciences. Changing the foundation I build my therapy’s upon, for others. Yet, I’m excited to restore them, feeling I am providing something more than just a treatment plan. I Highly recommend this book! A must read. The information stimulated my striatum, traveled to my orbitofrontal complex, fermented in my prefrontal complex, then took the long voyage via the stercorotaural pathways to my celiac plexus, initiating a migrating motor complex. Then the author presented his opinions on addiction.